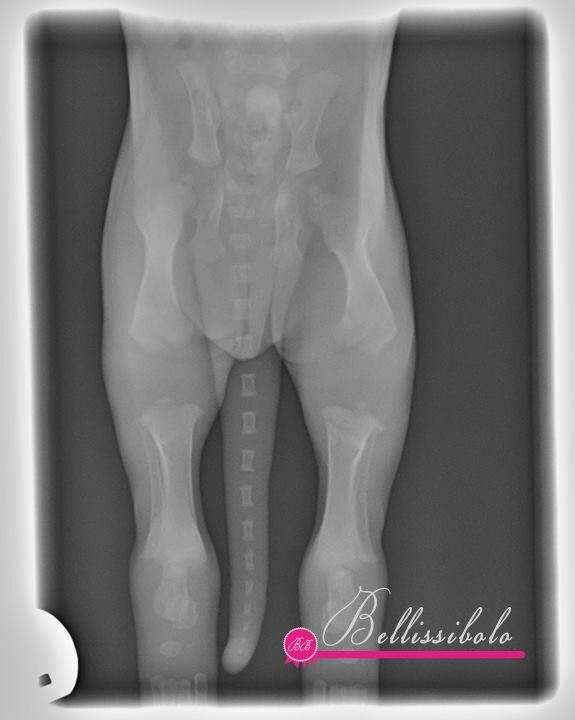 This is an X-ray of a 2 week old puppy. Look at how far the bones have to grow before they become a proper bony joint! This is why you should never let puppies jump, walk up/down stairs, over exercise or over train. Doing to much impact activity at a young age will cause serious issues later in life, or even at a young age as hip dysplasia and other orthopaedic conditions are rising in puppies!